Designed for use in 3000 or 4000 gallon ponds. Effectively pumps water in your pond even when there is 1/4 inch debris. Energy efficient to use and has a large basket to help collect debris. Made to be a durable and long lasting pump. 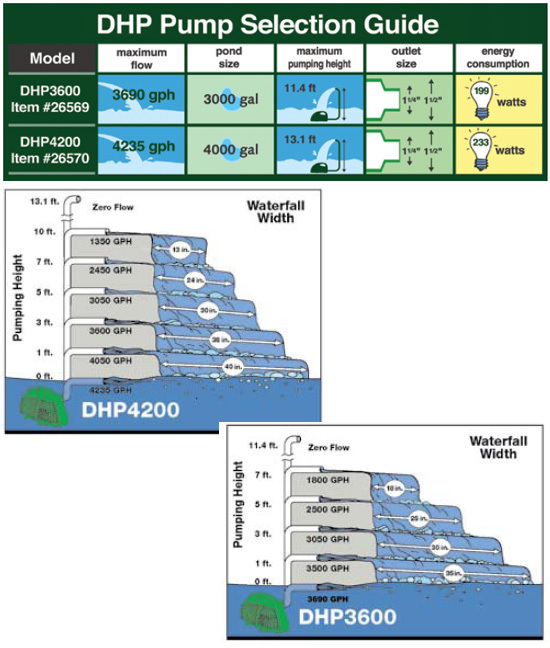 Tetra Debris Handling Pond Pumps has different options and/or variations, please choose below. 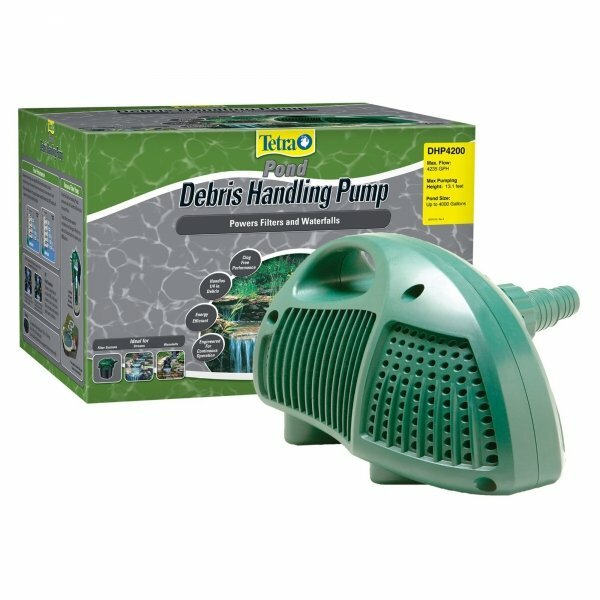 Tetra Debris Handling Pond Pumps are made to handle large debris, up to 1/4 inch, with its strong debris-handling impeller. Constructed with a big basket to reduce clogging and maintenance. Comes with an energy efficient uni-directional impeller and motor (asynchronous motor technology) and a long-lasting, durable anti-corrosive ceramic shaft. The motor has epoxy encapulation to prevent water intrusion. For maximum flow, use 1 1/2 in. ID tubing. It will also fit 1 1/4 in. ID tubing. Electrical cord is 15 ft. long. Outlet Size: 1.25" and 1.5"